Refinements to allow for scalability while improving usability. The latest Crypto.com Wallet and Card App has been refined to make the App even easier to use. As we are a growing company with an expanding product ecosystem and based on feedback from the Crypto.com community, we saw the need to refresh the app design for scalability while improving usability — making it easier to scan for important information and take action. The Approach: For new users, we focused on making the app functionality quickly understandable — users can now see everything they can do when they open the app. The new design helps users understand the different offerings in the app and make taking an action easier, all from one place. For more advanced users, our goal is to allow them to jump into the app and get the key information they need as quickly as possible. Now, opening the app, you can see all your balances and market, without scrolling. Home Screen:You will first notice Total Balance and four Action Buttons: Buy, Sell, Send, Deposit — simplified and unified — are positioned at the top. Next, Crypto Wallet is expandable to allow for an instant overview of your hodlings with the ability to drill in for the details of each currency. We have added each currency’s icon for faster scanning and identification. For Track Coins, we have applied the same approach, adding the icon of your favorite currencies with the current price and 24-hour performance. Bottom Navigation Bar: To further aid users, we have added a new bottom navigation bar throughout the App. A tab for each major function — each accessible with one tap. Our Team: The Crypto.com Wallet and Card App has been designed in collaboration with Metalab, the world’s leading interface design consultancy based in Victoria, Canada. This week, members from the Metalab team joined us in the Crypto.com offices as we plan for our next phase of developments. Dim sum and tea (and a few other drinks later), mixed with Post-It notes, whiteboard markers, and coffee provided for very productive sessions. A huge shout out of thanks to our amazing development team for releasing the new app on an incredibly short schedule and before our marketing campaigns begin. 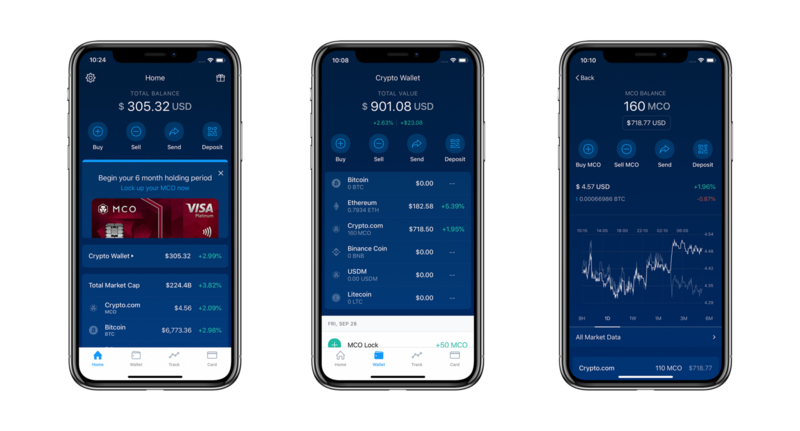 We hope you like the updated app and look forward to your ongoing feedback as we continue to accelerate the world’s transition to cryptocurrency.